It seems like something we are beat over the head with in the digital age, watch what you do online. Usually we say it to our children, but very rarely do we check ourselves when we are on the internet. 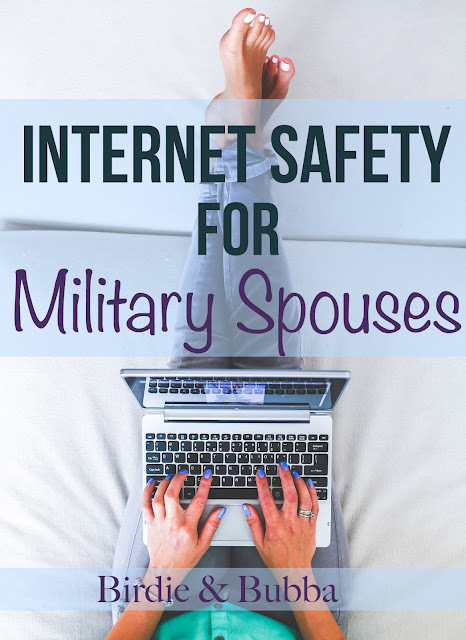 Staying safe on the internet in important for everyone but it is especially important for those associated with the military. Some of the reasons may be obvious but others may not be so obvious. The internet is a great place to meet spouses and learn vital information but it is a place to proceed with caution especially with the kind of information you share about your self and your spouse. The odds of some terror group following your every move on the internet specifically because you are military spouse is not very likely. It is important to realize that no matter how secure you think you are or how well you know who you are talking to, you can still put yourself and your family at risk. Military spouse support groups on Facebook, Instagram, tumblr, etc. are becoming increasingly popular in recent years. 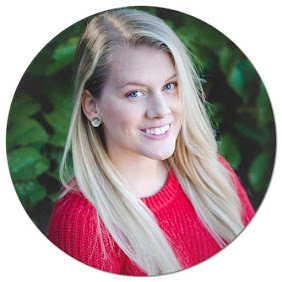 It is a way to connect with other spouses and get people's experience about everything from PCSing to recipes. More than once I have seen accounts made of fake people to gain access to these groups. They either pretend they are a military spouse or just screenshot them, and share them with Facebook pages like "Dear Dependa" or "Overly Sensitive Military Spouse." While these groups have many positives and most of these people are who they claim to be, not everyone is. We all love to take pictures with our significant other. Many if not all of us have taken pictures with our significant other in uniform. But just think of all the information that is on that uniform. All of these things can really narrow down where your SO works and what they do. I have also seen spouses who are super excited about their new home or apartment, so they take a picture of the house. Right there people can figure out a house number and what the house looks like. If you are anything like me you don't want random people knowing where you live. If you truly need to show off your new place, maybe just show off smaller details like the front door (with the house or apartment number blurred out) or a picture of your house keys. It's artsy and doesn't let creeps know where you sleep at night. When your spouse is deployed or preparing to deploy, it is important to remember that what you post about your spouse can be sensitive information. I have seen spouses post dates when their spouse is set to deploy. In serious cases, these posts have postponed deployment dates since they are considered sensitive information. MarineParents.com has a great article that includes examples of what is considered "Critical [or Sensitive] Information"
"Detailed information about the mission of assigned units. Details concerning locations and times of unit deployments. Personnel transactions that occur in large numbers (e.g., pay information, power of attorney, wills or deployment information). References to trend in unit morale or personnel problems. In special situations, it is also important to realize that your spouse's MOS may be more sensitive than others (ex. Military Intelligence, Special Forces etc.) . It is important to not over share about what they are doing. I have seen people vent about their spouse's superior and have that end up getting back to their spouse's higher ups. I have also seen spouses complain about a spouse's coworker with in a military support Facebook group and have the coworker's spouse be in the same group. The rule of thumb is this....it is their job not your's and your opinion is not needed. That may be blunt but it is 100% true. Social Media is a tricky thing. We want to share important events or even our day to day lives. It is important to remember that it is our job to keep our spouses and ourselves safe both during deployment and while they are home.